This garter-stitch headband is possibly the easiest knitting pattern of all time. Even kids can make this! 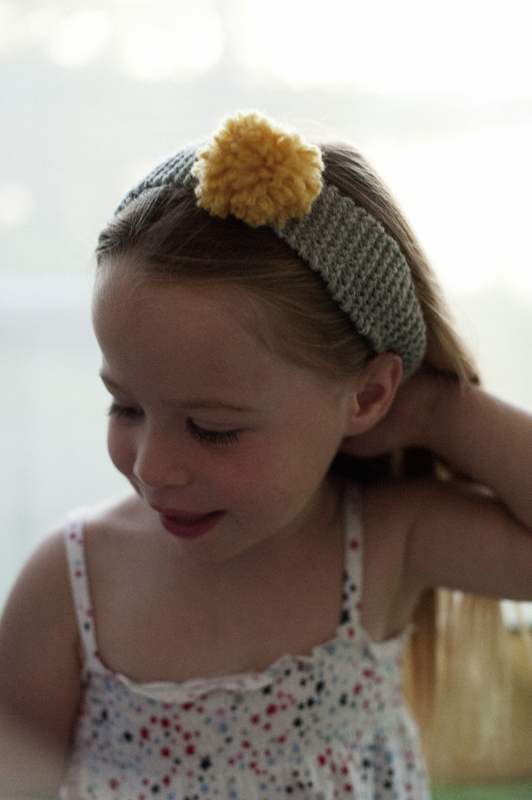 It only takes about an hour - more for an adult-sized headband, less for an itty-bitty baby headband. 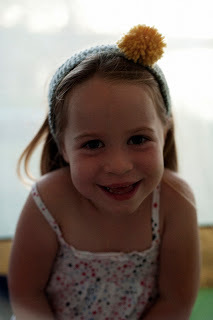 I have a free downloadable PDF pattern with a little photo tutorial available here, or you can follow these instructions. For the headband shown here, I used Lion Brand Wool-Ease in Grey Heather with Mustard for the pom-pom. Knit every row until the band fits around your head when stretched slightly. Use the yarn needle to slip-stitch the ends together using the tail end of yarn. To make the pom-pom: loosely wrap the contrasting yarn around 3 fingers 30-40 times. Carefully slide the wrapped yarn off your fingers, and with another piece of thread, tie a tight knot around the middle. (Ready for that photo tutorial?) Push the blade of your scissors through the loops on one end and cut. Repeat on the other side, and cut any loops you may have missed. Trim to neaten the ends if needed (avoiding the long tail from the yarn used to tie the middle), and fluff the pom-pom to fill any bare areas. 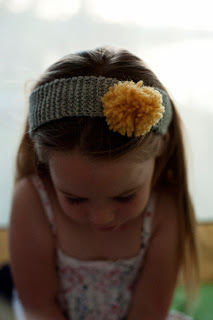 Using your yarn needle, thread the long tail from the middle of the pom-pom through the headband and tie. Cut or weave in loose ends. There are a bunch of different ways to make pom-poms, but I'm too cheap to buy a pom-pom maker and too lazy to cut the cardboard circles to do it the old fashioned way. 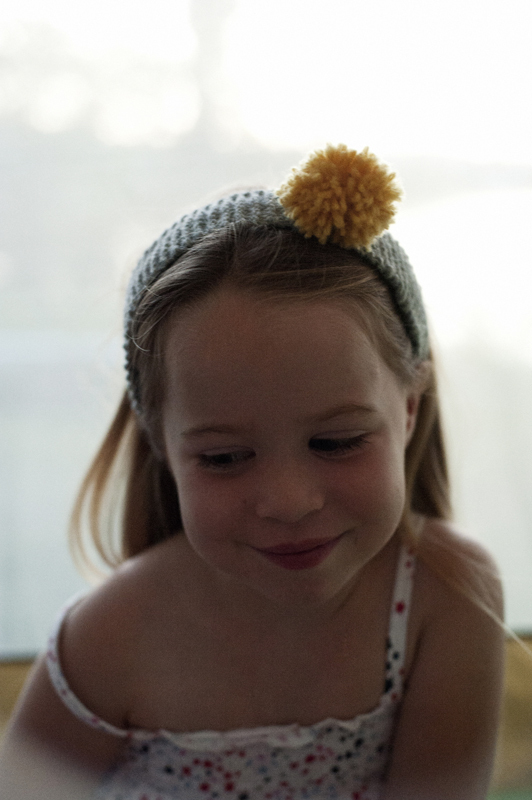 I wrap the yarn around my fingers which is quick and easy, although it makes less than perfect pom-poms. Feel free to use whatever method you like best!